Finding fresh new acts is always something that this scribe takes pleasure in. You never know where you are going to find the next band that will blow you away. 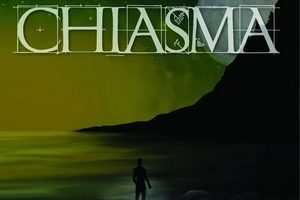 One such band is that of Indianapolis prog metal/rockers Chiasma, who rightly got a little boost in the name recognition front when vocalist Katie Thompson was involved with Fallujah’s Dreamless album. But it would be a mistake to think that it’s the only reason the band is getting some attention. Their second album, Human Element, was released last month and showcases a unique voice within the progressive scene. Melodic and gentle atmosphere and electronics swirl around some occasionally heavier riffs, with Thompson’s vocals soaring along…sometimes tastefully enhanced by vocoder effects. 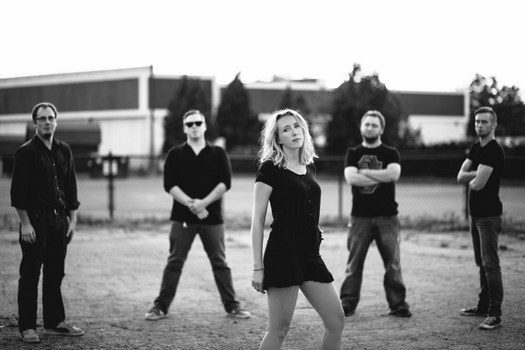 So with the album out in the open, we were able to corral Katie Thompson together with guitarists Derek Steele and Ian Inman for a Skype session to further discuss where the band is heading now. Dead Rhetoric: How did Chiasma come together? Katie Thompson: We all kind of knew each other – we went to high school together. Our music scene was pretty small because we grew up in a rural area. So we were pretty familiar with eachother. So Derek [Steele] had sent me some stuff and asked me to sing on it. It was more of a recording project in the beginning, and I was super stoked to do it. Eventually Ian [Inman] took interest, and our drummer took interest and we kind of became a live line-up without really meaning to. The first album [Synthesis] was more of a recording project album, and it was received better than we expected. We didn’t think about more than friends and family digging it. When it was positively received, we thought about putting the live aspect together and we became a full act. Dead Rhetoric: At this point, with two albums in – what are the musical goals that you have in mind for the band? Derek Steele: We love to record and write music – we are having a lot of fun now, so we are going to keep writing, making music, and recording albums. I’m sure everyone has a little different direction that they want to go, but we love making music together. We like to focus on the recordings – I’m not sure if there will be a lot of playing live. We like to play live but the music is our focus. I wouldn’t say we have any particular long term goals. Thompson: As long as it stays fun, we’ll keep doing it, that’s for sure! Dead Rhetoric: Katie, what compelled you to put your name in the running when Fallujah was looking for female vocalists? Thompson: This guy [Ian] tagged me and it was a “what the hell” thing. I definitely did not expect them to give me a second look. I sent them some Chiasma stuff and some solo stuff, and they responded immediately. They said, “Hey, this is great” and that was enough. That was so validating, and I was just thrilled. I didn’t hear from them for months, so I was really shocked that it wound up happening. I’m a fan of Fallujah – it was awesome. Dead Rhetoric: Personally speaking, that’s the way that I found out about Chiasma. Do you think that the exposure has led to more people finding out about the band? Thompson: Oh yeah. I met up with Alex [Hofmann] when they played in Indy last spring and he posted a picture and tagged us, and I think our fanbase doubled overnight. We definitely owe them a lot of thanks for that. Dead Rhetoric: So you put out Synthesis and didn’t expect much of a response. After putting out the first album and getting a response, how do you feel that changed and evolved the band? Thompson: It was definitely a different experience writing, knowing that people are going to listen to it. I was more self-conscience in the writing process. Steele: I would say from album one to album two, we knew that at least a few people listened to it so we didn’t want to sound stale and do the same thing. So we really focused on what style we wanted to go in. Katie adds an element that brings in a lot of memorable melodies that help make it easy to listen to. Honestly, we just focused on wanting to do something new and something different that we didn’t do on the first album. Ian Inman: I think it was different because we went into it writing songs that we were actually going to play [live]. Most of the first album were ideas Derek had before we were even a band so I think that changed it a bit as well. Steele: Some of the transition stuff – it was a bit hard to do. We focused on actually playing it live and made more seamless transitions. Dead Rhetoric: There was a surplus of songs that didn’t make the cut for Human Element which you’ve posted online. Have you thought about wrapping them into a Bandcamp release? Thompson: A fan actually asked us if we would consider that recently…it hadn’t dawned on me at all. Steele: We definitely could have done it, because we still have a few more just hanging out that would have made some decent b-sides. We probably could have put together another 5-6 songs that could have been listenable. I think we talked about it a little bit, but didn’t do it at the time. One of the songs we actually put out right before Human Element came out, ”Shallow Lies.” We thought about maybe keeping that one for later one or starting our next record with that one. Thompson: I added it as a bonus track to the last album [group laughter]….it’s weird – those tracks have a different feel than where we were trying to head, but as their own sort of pool…it could definitely still happen if we could find the time to give them the attention they need. Dead Rhetoric: Where did the idea come from for the “Narcissus and Echo” video? I know it moves in a kind of a humorous direction. Thompson: When we started writing the song, I had been going to the gym a lot. And the gym is wonderful, but there’s a lot of high school students showing up and taking selfies in the mirror. So when I was writing that song, it felt really theatrical, so I made it theatrical. I was stuck on the idea of narcissism. I was talking to Lanis [Watkins], who mixed our album, and said it would be funny if we made the video about Ian taking pictures in the mirror at the gym. Then I happened to ask the gym if they would let us film there, and they were so cool about it. They said we could do it for free, at any time. So that sealed the deal. Inman: We had some great help from Gabrielle Heagy – she does photography and video and she is a great friend of all of ours. She really helped put it all together and come up with the little bit of storyline for the video. Thompson: I think taking it too seriously was never going to be a strong point, so we went totally in the other direction. Gabrielle was so on board with editing our footage together to meet that vision. Thompson: I don’t know if we could ever do that convincingly. I’m sure we’ll have to try eventually if we keep playing but this fits the band’s personality for sure. Dead Rhetoric: I definitely picked up on that aspect of the band while going through Facebook posts, along with the Keanu Reeves photo [an old photo of him playing in his band] that was tossed in as a last-minute pre-order incentive. Was there a lucky winner? Thompson: I have it packed up – I just need to send it over to him. He’ll know who he is…he deserves it! Dead Rhetoric: Was this a picture that one of you actually took? Thompson: I went and saw him when I was 12 maybe, and it was the show of a lifetime. I was beside myself. It was great. Dead Rhetoric: Obviously when it comes to the music itself, you are much more serious. And as a progressive band, one that is deserving of the title. What do you feel are some elements that make you stand out a bit? Steele: I would say that we aren’t afraid of going where we want to go. We aren’t taking off of any [pre-determined] sound – it’s just whatever we are feeling at the time. Whatever meshes with what we are doing – we aren’t putting limitations on ourselves. That’s the big thing that I think of when I think of progressive. Thompson: As far as standout sounds, we definitely hit a lot of dynamic changes within our songs. That’s typical of progressive. But we also have electronic elements and acoustic elements. Not to toot my own horn, but I feel the vocals stand apart that way – I write them more like pop vocals. Inman: It’s got some drama to it. There’s moments of lull and moments of heavy, and blending those together – that’s the direction we are going in. Steele: I’d say the definition of progressive has changed a lot recently. It seems like it’s a popular thing…when you say progressive someone may imagine something completely different. Thompson: You’re right – I’ve heard music nowadays that’s so extreme that it’s like, “how could you ever beat this?” Since it’s so far out there. I think what we are trying to do is stand out by just being ourselves – that’s as unique as you can be, by staying true to yourself and your own vision. It may not be the most extreme progressive out there. It may not stand out that way, but I think it has achieved some sort of balance that’s unique to itself. 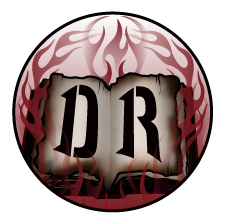 Dead Rhetoric: You’ve released your albums on Bandcamp. Has it worked to give you a more global audience in that regard? Thompson: Bandcamp has been really good – I think when we released our first album on Bandcamp, the first sale we ever made was to someone in Russia. It happened within 5 minutes, and then in 10 minutes, we were on like 5 different torrent sites. But a listen is a listen and a view is a view, and I think that has been mostly beneficial to us. You can’t be naïve and think all of those listens are going to turn into dollars – that’s not how it works. I think Bandcamp’s algorithms and platform has been beneficial to us and a lot of independent bands for sure. And so are torrents [laughs]. Dead Rhetoric: At least you are putting out videos on YouTube as well, so there’s more streaming sources than just illegal ones. Thompson: And Spotify and stuff – we are on all of it. It adds up over time I think…hopefully. Dead Rhetoric: What is particularly challenging about trying to build up a band at this moment in time, given the breadth of services like YouTube, Spotify, and Bandcamp, in regards to making your voice heard? Thompson: I think one of the difficulties is that you have to wear the expert hat for every single platform, whether it’s Photoshop or YouTube or whatever. It’s hard to know starting out, where to really focus and where the fans are going to be. That’s been a learning experience. Steele: We see a lot of bands getting exposure on YouTube now. I would say, within the last six-to-eight months we’ve been trying to do more video associated with what we are putting out. Even scrolling through your Facebook feed, all you see is videos. I feel people are more apt to listen to it if they see a visual with it. That’s what we have been focusing our media stuff on right now. Dead Rhetoric: So do you have any plans to do any other videos at the moment? Steele: We have a song called “Circles” on Human Element that we’d like to do a video for. We might still do it, but it’s not a fully fleshed out idea. Thompson: The budgets for videos can get out of control. We definitely have cover videos and stuff that we are going to put out over the next couple of months. But as far as a full production video, we’ll probably have to save up a little bit for that. But hopefully because I would love to do something else. Steele: We’ll do some playthrough videos or something though. Dead Rhetoric: I did notice you have a few covers that you’d done. Do you find that by doing those covers you end up reaching a somewhat different audience? Steele: I’ve gotten my grandmother to listen to our Christmas covers so…it’s an annual thing now. We like to do Christmas covers. It’s gone pretty well. Thompson: There’s already a fanbase there, so why not tap into it? It’s just finding the time. I think most bands would rather spend their time doing original stuff, but there’s a lot to be learned from playing the classics, so there’s a balance. Dead Rhetoric: With your goal of just kind of maintaining what you are doing at the time and having fun with it, are you interested in any sort of label backing? Thompson: We would take it [laughs]. If anyone wanted to offer us a cash advance, or promotion especially, we would be really keen on that. You win some, you lose some. We enjoy full control and having no pressure to get out there and play shows. It’s all on our own schedule. So we’d probably miss that, but we are open to it. Steele: There’s stuff that we are weak at. Especially as far as the promotion goes – I know that if someone else was helping us, they’d be doing a lot better job. If we really want to take it farther, I would say we would need help in that regard. Dead Rhetoric: In terms of playing live – is it something that if the right opportunity comes up you go out, or is it something you’d like to be more involved with it over time? Steele: I’d say it’s something we’d like to be more involved now. We play maybe once every three months. There’s a local scene here, but I wouldn’t say we have a lot of matches as far as genre goes. So there’s not regular bands that we go out and play with. But every now and then we will have a last minute gig. I’d say that’s another area we want to work on and get more plugged in and become active in the local scene. Dead Rhetoric: So what’s next for Chiasma now that the second album is out? Thompson: The first thing is that we actually play a release show because we haven’t done that yet. We want to do at least a few big shows in 2017. Then an EP of some sort…this album was so much volume. Now we want to distill down a few songs that are jam-packed. We are really excited to get writing again – we haven’t really written much new music for almost a year because we were tracking [Human Element]. We are really pumped to see what we write next. Steele: Plus you only need to write 35-minutes now and you can call it a full cd!